Linked in loveliness! This basic necklace goes with positively everything. 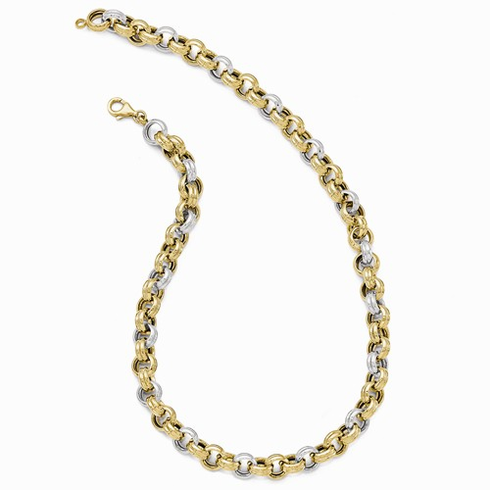 Crafted from 14K yellow and white gold, this piece features an interlocking oval link chain. An easy accessory to wear with your other favorite gold jewelry! Leslies 14k Two-Tone Polished Fancy Oval Link 18 inch Necklace and 10mm wide. Average weight is 30.71 grams. The necklace is secured with a fancy lobster claw clasp. Lifetime Guarantee.